Surveillance photos show the man at the Union National Bank on East Chicago Street. 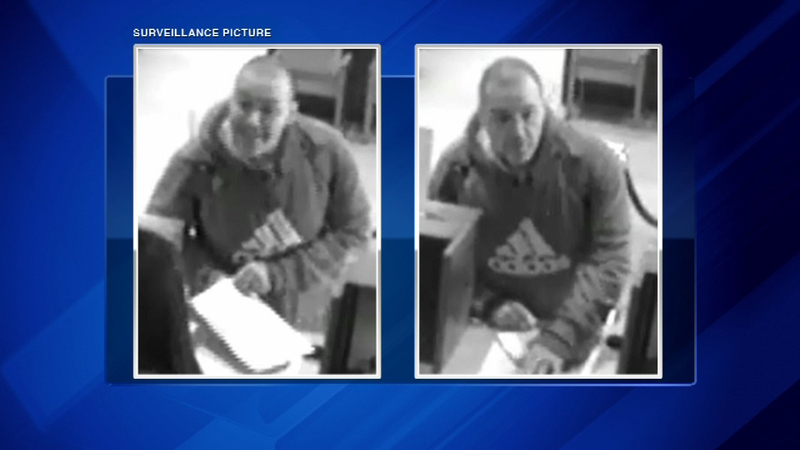 ELGIN, Ill. -- A reward of up to $5,000 is being offered for information leading to the arrest of man who robbed a bank in Elgin on Thursday. Authorities say he made a "threatening demand for money" and fled with an undisclosed amount of cash. He is considered armed and dangerous. Anyone with information should call the FBI.